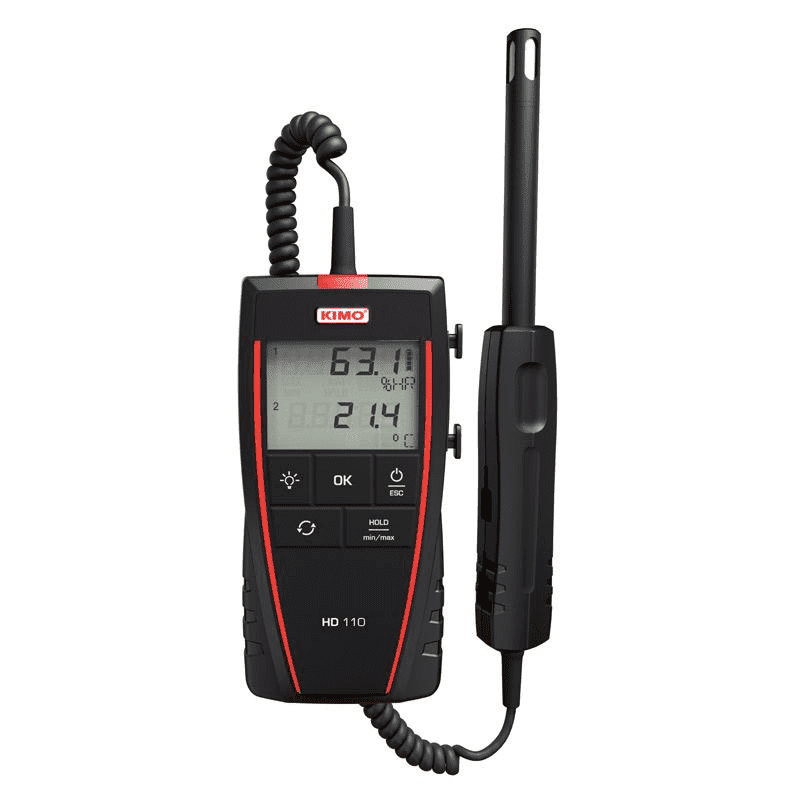 The Kimo HD110 is a reliable and accurate handheld meter for measuring humidity, temperature and dewpoint. Standard functions: min, max, hold, auto power off and choice of units. Especially for the food industry, there is a white colored design. 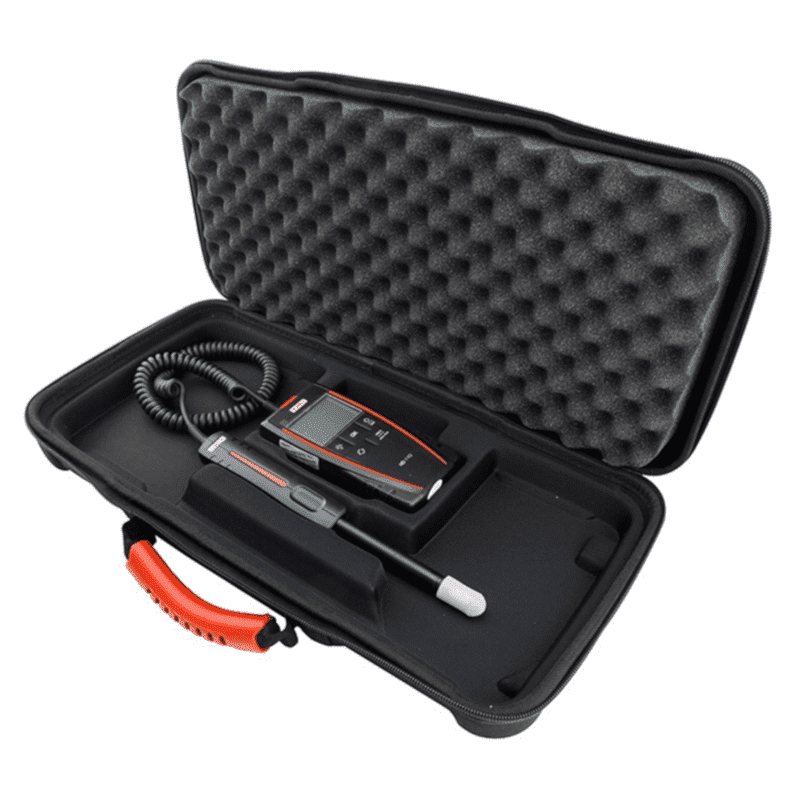 Each instrument is supplied in a sturdy carrying case and calibration report (HD110) or soft case and test certificate (HD110 S).